The Salesian College of Our Lady of Carmen, Utrera, arises through the social concern of the illustrious founding father utreran D. Diego Maria Santiago, Marquis of casa Ulloa, supported by the Cardinal of Seville, Bishop Llunch and Garriga. Before the serious lack of schools in the city and the ignorance of most of the children performed all sorts of proceedings before Don Bosco, founder of the society of St. Francis de Sales (Salesians), in Turin (Italy) that set up one of his now famous works in Utrera. It must be borne in mind at that time there are in Spain only 20.113 schools. In Andalusia the enrolment ratio at less than 1/12 of the population, and 70 per cent of school-age children were in Spain out of school. Utrera, no doubt, was no exception. On Wednesday, February 16, 1881, reach Utrera, Cádiz from train, the first six men Don Bosco sent to Spain. They learn the language of the country and adapt to local customs. And from Utrera, they open in magnificent range radiating salesian for all angles of the Iberian Peninsula. That was a cold and rainy winter afternoon. Next to the Guadalquivir fields were flooded. The train was walking slow. Don Juan Branda (1842-1927), was the first director of the Salesian community of Utrera. And there started to feel the authoritative voice of the father Cagliero preaching in Spanish the word of God to the faithful, conducting cultural events, confessing to a lot of people, and attracting a large number of souls who have found in the Salesian House the atmosphere of piety and joy often undeserved elsewhere. In that Church began the Salesians to evangelize the people and the youth, and she continued evangelizing and giving glory to God until the year 1956 in which he stood and inaugurated the new Church of Maria Auxiliadora on the occasion of the diamond wedding of the College. Mid-de1881, the Salesians leave the House in the street Ancha and will live in del Carmen, where have already started to host the classes. "Children entered six in the morning and wouldn`t until six of the late..." The new work everything was mixed: classes, carpenters, masons, musicians. "It was a real Babilonia…"
Ms. Dolores war, gives them a Kraal near the Church of Carmen where meet the boys. There they them entertained for some time. The forerunner of the current large courtyards would be where spends so much youth and so many utrerans. For working-class youth and adults the Salesians mounted that same year 1881 the night schools, and as good Italians begin to form a music band that lasted for many years and that was probably the origin of the music fans that today exists in Utrera. In 1882 the popular schools of San Diego, name adopted in honor of the founder, the Marquis of Casa Ulloa, already serving some 400 children, including those of the festive oratory, of which 70 in half board. In this year are collected as internal two children that Mr. Mayor found begging on the porch of St Mary; they are the precursors of many thousands of inmates as they would come later. All Utrera is excited about the Salesians. The Church on Sundays, is always full of people, because there are all sorts of facilities for frequenting the sacraments. In 1884 the Mr. Marquis Of Casa Ulloa built large ships for the School… "Never could know how much spent on it." They say, conjectures, he would spend some eleven thousand p.… "Never told his friends that he was who paid it…"
Completed the first four years was raised in a formal manner the question of whether should remain in Utrera or abandon del Carmen school to settle in a most populous city and to provide greater possibilities for the development of the works of Don Bosco in Spain. The subject was the Generalicio Council or chapter above, as it was then called. When Don Celestino Durando, inspector pro, he informed the director of the school of Utrera, the content of the official record of the Superior Council he commissioned him to make a plan to make the popular San Diego schools could survive and the Salesian work would be increased and strengthened throughout the region. Don Ernesto Oberti had made as a condition to stay in Utrera to behind the Church of el Carmen, in the vast area of the garden, lift a wing of building wide and able to install new classrooms, dormitories and other necessary units of the school. The Marquis of Casa-Ulloa, began to raise a new body of building capable of accommodating some inmates in secondary education. The problems to sustain popular schools in San Diego and Oratorio holiday opened a door for a secondary school or high school, so finish to build the new building of the school built at the expense of Mr Marques, immediately thought to internal secondary school students who were admitted. The Nativity of 1886 brought a huge gap in the heart of the Salesian family of Utrera. December 25 died as an old old testament Patriarch, at his home in the wide Street, the widower Marquis Lord of Casa-Ulloa, don Diego María Calvo Santiago the Branda and Aragon, founder and Sustainer of the College of Our Lady of Carmen. The College`s Director Mr gave the annual regulatory Conference all cooperators gathered at the Church of the Carmine. Don Oberti unveiled them future projects for the life of the College, expanding sentences possible ability of it to give life to the boarding school and the secondary school. At that time he had 50 inmates of payment and other free 50. They were given to eat for free at noon 100 poor children with the help of cooperators and cooperators who never let Assistant economically to the community with their alms. In the second half of September 1887 Don Bosco felt bad. He had fever and continuous headaches. Some days I could not even celebrate mass. But he was always cheerful. He worked, he wrote letters, giving audiences. But at the end of January 1888 Don Bosco is turned off without remedy. At dawn on 31 January he died surrounded by his most beloved sons in the Oratory of Valdocco. On 29 February the solemn mass was celebrated in the Church of Carmen Utrera exequial for the eternal rest of the founder of the Salesians. All the Salesian family from Andalusia reached school on this sad occasion. He was succeeded on the death of Don Bosco, how Rector major of the Congregation Salesian D. Michael Rua, whom the Church Honours today as blessed on the altars. In March 1890 he visited Utrera, who receives in smell of crowds. The Salesian work has developed and receives daily more than 500 boys. Holidays bind all children and young people from the neighborhood in Oratorio holiday. Located here also suitable recreation parents from all walks of life, giving rise to what is now the Alumni Association and the Association of parents. 1895 was a year of hunger in Utrera. There was no work and poverty in many homes. In such critical circumstances the Salesians tended a hand to address the need for so many people. At the beginning were distributed daily in the goal of the 140 school breads, that assumed eat free of charge to all poor children who frequented the classes in the schools of San Diego. To alleviate unemployment, the Director, Mr. Ernesto Oberti decided to dig foundations and open up some ditches that could be used to expand the building in the back of the Church of the Carmine. The insistent demand for labour driven at the start of the construction of the walls, until that was over money. The works have to stop, with the consequent impact on so many workers. It is then when the generosity of another Hero, utreran and Salesian cooperator, D.Miguel Murube, Attorney in courts by Utrera, provides 50,000 Pts. The works continue and pursue social work. Don Pedro Ricaldone and his colleagues carried the salesianism from Utrera Seville and then spread it throughout Andalusia. It was don Pedro who gradually formed the Inspectorial House in its two professional branches and students. And at the beginning of the 20th century he first Superior of the houses of Andalusia. Their dynamic and constructive activity was always live up to their responsibilities of Superior and father of the primitive Andalusian salesianism. When don Felipe Rinaldi became a member of the Generalicio Council in Turin, already the School of Utrera had conquered his renown therefore time has managed to remain among the best resorts dedicated to the teaching Spain second. He systematized the study divided students by courses, he built a magnificent Cabinet of physics, which was then completed with the chemistry and the Museum of natural sciences. He always enjoyed a prestigious scientific between Salesians and students, the professors of the Institute for Media education < < Isidore > > of Seville and university professors. Electric light then replaced in the Andalusian towns in the light of the gas and other primitive systems of night lighting installed in the school. Not only he instructed but that it educated. He was the man in the integral and harmonious plan. The prison of the judicial party of Utrera occupied a plot next to the Church of Our Lady of Carmen which would have been as ring to the finger if from the outset had given it the Government authorities to the Salesians. But the procedures were lengthy and burdensome. And practically that solar can not be purchased until the Directorate of don Juan Canavesio. He began to prepare and to pursue the case so that they would give to the College Utrera prison building at the time of the second director of Utrera don Ernesto Oberti. And delivery is not checked until the year 1925 in the Directorate of the ninth school Superior, 35 years have initiated procedures. The building destined to the prison of the judicial party of Utrera was ceded by the State to City Hall, after the disentailment of Mendizábal and the abandonment of the convent by the Carmelite community. The town hall went it to jail. How nobody cared for him, was a half collapsed and in ruins when the Salesians started working in Utrera. On October 14, 1928 the general Primo de Rivera, head of the Government, visited the School of Carmen. In one of the patios, adorned with coats of arms and national flags, stood a grandstand and a canopy in whose center was placed in portrait of Alfonso XIII. The general to the chords of the actual March played by the school band was received. Presentose the head of the Government accompanied by the director of the Casa don Juan Canavesio, the Mayor of Utrera, Civil Governor of Seville, President of the Provincial Council and other distinguished personalities. In May 1929 it took place in Seville the Mariano Congress at the time of the magna Ibero-American exhibition. The House of Utrera in full moved to the capital to participate in the Congress in the 15 to 21 days and visiting the exhibition. The year of 1931 met fifty of Salesian presence in Utrera. For the Golden wedding of the Foundation are ill winds by those dates. It was proclaimed the second Spanish Republic and with it come the disorder and the persecution of religious institutions. Domestic students have to be sent to their homes. There were moments when the College ran danger of being assaulted by mobs. In that long difficult stage of the history of Spain, from 1931 to 1939, the school address is entrusted to D. Francisco Javier Montero Gutiérrez, an institution in Utrera. The learned go solving difficulties and achieve are not crash action educational, social and Christian evangelism. To save the College received the decisive collaboration of a group of utrerans who founded the Association School Mutua Utrerana, legally took charge of the schools of first and second education. Among other names they are worthy of memory of D. Antonio Sousa, D. Antonio Boralla and Mr. Juan Navarro. During these difficult years of the Republic, Civil war and the postwar period, years of hunger and misery, school health care action intensifies in proportion to the urgent needs. Looking for a better location and comfort to the schools of San Diego was built in 1940 a flag of 9 classrooms, with its corresponding courtyard. The new building enables better care to 450 students who frequent them, figure that will remain fixed until the transformation of the elementary education through law of General basic education is to integrate the schools of San Diego in the school of Our Lady Ms. of Carmen, with 24 subsidized classrooms and a total of 950 students. In Utrera, to respond to new demands, Mr. Francisco Javier Mondero increased the parents association, legally took charge of the first schools. and 2nd. Education of the College, forming the Utreran School Association. The same was done in Alcalá, Ronda, Cordoba and other Andalusian’s houses. The Salesians dressed in civilian clothes as tutors. Some priests remained with the suit fell as chaplains. The school mutual Utreran was a denominational Association, created for the promotion of culture and directed by the parents. Thus was saved the legal coverage of schools. By economic difficulties it ceased publishing in Seville magazine < < Don Bosco in Spain > > the alumni. For the first time were given to the students of the School Of Carmen Christmas vacation so they could pass them in their respective homes in the company of their parents. Meanwhile were encouraged to all Salesians that provided legal qualifications in order to be able to devote to teaching as tutors. The city of Utrera troubled the calm of the population with detonations fratricidal. He imprisoned priests and people of order. There were conatuses fires. In the School of Carmen had left the Lord Director don Francisco Javier Montero, that, just as don Claudio Sánchez was out of town. The Salesian community staff enjoyed the holiday preparing to do spiritual exercises. There is, therefore, students. Show a patrol of militiamen at the gates of the establishment. In the absence of the director received the prefect of Mr. Ignacio Pérez. It guaranteed the militiamen lives and conservation of the property, advising the total closure of the doors and Windows of the building in a poorly disguised fear. In the village, the Plebs, disheveled, imprisoned and traveled the streets menacing. The Civil Guard prevented the looting and pillaging. The triumph of Queipo de Llano in Seville 1890s minds of the most exalted. They fought against the lives of illustrious inhabitants of the city, irrigated with tears and blood the homes of notable benefactors of the school. July 24, began the attack by the army for freedom Utrera. Hours before the national troops entered the city, July 26, in the municipal prison opened the gates of the jail where they were locked up, with eight others, don Miguel Borrero Picón diocesan priests and Mr. Antonio Ulquiano. In 1937-1938 academic courses and following, the life of the College continued its pace, although affected by the consequences of the war. Many Salesians were mobilized, as many young clerics such as wardens, aspirants and priests. As military chaplains were the fronts of Salesian battle and also entered as simple soldiers. In addition 19 partners were killed by Republicans. There were anxieties and uncertainties by the houses of the Republican areas. The Utrera’s School suffered the hardships of the time. The first thing to restore normalcy was able to count on the Salesians in the houses. This Inspector don Sebastián María Pastor led an instance General Gonzalo Queipo de Llano asking to reinstate schools fronts South staff to follow his teaching work. Realizing the general and other military chiefs that meant the work of the Salesians in the rear to assist schools and popular Oratorios by needy orphans and poor children, was granted such permission. In the Civil War of 1936-39, the Salesian Congregation suffered severe losses: fire of houses, destruction of schools and churches, work stoppage, 96 religious murder and dispersion of others in the Republican zone. We affirm that the concrete and undeniable, fact documented and tested, that the Salesian family was repressed and paralyzed in the Republican zone until it was conquered by the army and was allowed to rebuild again his life and his apostolate. Schools were confiscated, the churches destroyed, burned or used for profane uses. The Salesians went wandering, hidden. Nearly a hundred was killed. They were men of God, totally apolitical. Truly living Christianity dedicated to giving bread and Gospel to the humbler classes of the people. It is also an undeniable historical fact that during the 25 years that followed the Spanish Civil War (1940-1965), the Salesian family developed splendidly in the Iberian Peninsula, especially in the 1950s. We relate this development with general Spain in those years history walking and the concrete life of the Salesian College of Utrera. The abandonment was the sanctuary of the Virgin Of Consolación made think to the Salesians a means to revitalize it would take advantage of the old convent, annexed to it, for House of Salesian Youth training. They give glory to worship and life to the environment. Not missed difficulties in carrying out the idea, but in 1945 became a reality, lasting experience until 1961, the lack of availability of the premises for its reform and adaptation, not have property, forced to abandon them. In those years intensively promotes devotion to the Virgin; they distributed hundreds of thousands of leaflets of comfort among 138 people, five hundred thousand prints; place the tile of the our Lady of consolation in railway station; published articles in newspapers and on radio; carried out continuous pilgrimages to the shrine, that regains its former glory. As a result of the passage of the Salesians for comfort have been the brotherhood of the boys of consolation, the origins of radio in Utrera and four bells of the Tower of the sanctuary. In April 1953 the school sees officially recognized its enormous educator work with the granting of His bowtie now wears of the Civil order of Alfonso X El Sabio, imposed by the then Minister of education Mr. Joaquín Ruiz Jiménez. The distinction comes to corroborate the fame of the school, which was already in the public domain in all Spain, heralded by its alumni. Mr. Miguel Rodríguez Rumbao (1954-57) was the director of Utrera in the Diamond wedding. It mobilized all Salesian Andalusia and the houses of Spain to celebrate them properly. The political moment in the 1950s and the psicologic-cultural situation of the nation were best suited for the solemnización of so Faust event. But they had much the extraordinary qualities of treatment and training of this great Salesian. Resurgent Spain after the depression that followed the Civil War. The State proclaimed Catholic and supported the Spanish traditional religion openly. Such was the historic juncture, when the 75th anniversary of the foundation of the College of Carmen. On 16th February 1956 began the ephemeris with a huge concentration of alumni in Utrera. A clever campaign for press and radio had summoned them at school. They were invited as well as the National President and the type of the alumni, who came to the 15 in the afternoon under a persistent rain and intense cold. The regional President of Alumni don Manuel Ramos Hernandez had sought for the AA.AA. of the school afford the Crown which has to María Auxiliadora day that opens the new Basilica in Utrera. The 75th anniversary of the arrival of the first Salesians in Utrera, there were already 156 houses and 2,588 Salesians and daughters of Maria Auxiliadora, Spain. With the Alumni House, the diamond wedding celebrations began in Utrera. The new Basilica of Maria Auxiliadora, Utrera, before the smallness and inability of the catechists Church of el Carmen to contain within itself the popular student mass opened in May 1957. In may he preached the Triduum of María Auxiliadora the Excelentismo Mgr. students at the school made the opening speech of festivals, parading through the city with alluding to events floats and carrying torches which gave to the procession a great brilliance in the hands. 24, Liturgical feast of Maria Auxiliadora, took place, in the morning, a poetry recital in charge of the poets AA.AA. Of the school. At midday a thousand meals were distributed to the poor in the courtyard of the school. Afternoon were proclaimed the national literary competition Awards, acting as maintainer Ilustrísimo Mr Luis Morales Oliver, director of the National Library and Chair of the Spanish literature of the Central University of Madrid. 25, Was held the day vocational, and on Sunday, 26th, was far more prominent in Utrera in these diamond weddings. Mr Inspector of Córdoba Mr. José María folding celebrated mass of general communion. The reception of the authorities and the vast crowd of pilgrims arrived in Utrera from all corners of Spain took place at 10. They honoured the school with his visit the his Excellency Mr. Director-General of labour education, the honour Mr delegate Finance of Seville, his Excellency Mr Vice-Rector of the University of Seville doctor Cortés, his Excellency Mr Governor military in Seville on behalf of the General captain of the region, his Excellency Mr Director General of files on behalf of his Excellency Mr Minister of Justice and honour Mr Francisco Ruiz Jarabo, President of the Chamber of the Supreme Court of the nation. Then opened the new templo-basílica of Mary help of Christians, grandiose monument erected in this year of the wedding of diamond, thanks to the generosity of the AA.AA. of all Spain. The new Church has dimensions of 51 by 22 metres. It is large, harmonious, proportionate to the needs of the school. It consists of 3 ships in 4 to 14 meters, separated by beautiful black marble columns. Then opened the Gallery of illustrious alumni and a photographic exhibition. A marble tombstone was discovered in the courtyard of festivals, with the goal of entry, the founders of the College Eminentísimo Mr Cardinal Lluch and his Excellency Mr Marquis of Casa-Ulloa. After a gymnastics display in the < < courtyard Don Bosco > >, involving 600 athletes, took place an event that broke satisfaction to all attendees. The afternoon opened the monument to San Juan Bosco. You are also blessed the first stone of the Don Bosco quarter of 200 houses, for AA.AA. Salesians. Peace and tranquility brought with them a great flowering of the Salesian family in Andalusia and all Spain. In the academic year 1957-58 the Congregation agreed to assist with the mutuals of the Ministry of labour taking charge of the direction of the Sevillian Universidad Laboral. It was practically the specific field of the schools of Arts and crafts in favour of the worker. Those years was very careful the spiritual training of the students. Those who finished high school were directed to the Sevillian RUS, who organized annual rounds of spiritual exercises for alumni of Andalusia. 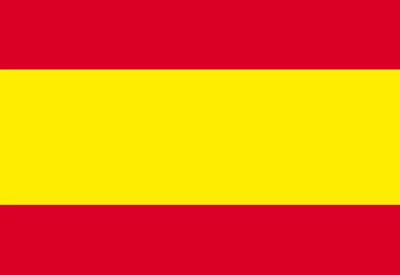 During the 1960s, broad sectors of the Spanish people, which had shown after the Civil War actively Catholic, are no longer displayed as such. Criticism of alleged Catholicism of legislation and action by the Francoist Government begins to generalize from a double flank: many Catholics contend that such a policy has not responded to the real demands of Christianity; others accuse the regime of false Catholic appearances and practical inconsistency in its activity. It must be taken into account, in addition, gradual secularization and de-Christianization of the population. The religion inherited, experienced no difficulties by the 1936 war generations, easily yields to growing paganization of modern society. While don José Alba helped establish in Utrera to the daughters of Mary help of Christians so that they were in favour of girls as the Salesians were doing in the interests of male youth. On December 27, 1963 a terrible flood of water destroyed the library of the College and made horrible damage in other units. The Salesian community of Carmen was animated and released a set of initiatives for pastoral purposes, even within the educational and teaching, work in a climate of family, fraternity and responsible autonomy within set action. He helped young people to strengthen and exercise real freedom with proportionate and environmental media, forming for tomorrow. The Salesian action is part of the pastoral care of the Church. The ecclesial dimension, as set with the local church service, was another goal to which the school was opened. Intensified the spirit of collaboration and active commitment to the local church that has never been missing in the Carmen. Adapted the liturgy to the youth life promoting the active participation of the students as much as possible. Mr. Manuel Bravo Fernandez’s Principal (1975-1981), considered urgent to respond to the fundamental mission of the College, becoming a church and educational community that counted with the collaboration of all its members; putting at disposal of every person, educational subsidies, the pedagogical, etc. ; and coordinating the joint action to make it an authentic witness of Christian life. It not dribbled economic resources to expand and equip the sport fields in the section of the garden of the school. It was mounted in the old library and the AA.AA. bar A modern youth club and a room of reading for use by young people. The youth of Utrera is open wide del Carmen school as their own. Workers, artisans, students, young people in any profession and social status. The House of Don Bosco is the home of the utrerana youth, as it was the home of Valdocco in Turin and Salesianos… households have been wherever For the internally mounted a < < self-service > > or modern dining room needed school and has made a new residence for the community of del Carmen. 1981, is the Centennial year. It is recalled that the work began with much enthusiasm and with limited means, but reached its fullness, it has completed one hundred years. The hand of God and of María Auxiliadora has been felt about it. How many other works with most media have appeared and disappeared during this period in Utrera, while she is still alive making their mission for the good of the city. There is no human explanation, only the will of God... D. Bosco wanted his Salesians in Utrera and here they continue to fulfil its mandate from 110 years ago. The gratitude of the city response to María Auxiliadora and San Juan Bosco has been embodied in Coronation canonical of the image sent by the founder and the monument bronze that presides over the facade of the school. The work done at this time is impossible to summarize: the thousands of students here formed, made social and welfare promotion, scholarships given to the students better equipped, the contribution to the cultural and moral elevation, hope raised and maintained in many hearts… Christian how could condense into data?... We guess that its volume has been enormous and it should only be in the accounts of God. School remains the home of Utrera with the doors always open, welcoming anyone who need their installation or want to integrate in any of its multiple activities. In 1992, Utrera, acknowledged the generous the Salesians delivery, through its excmo. City Hall, making official the gratitude of many utrerans giving the Gold medals a tribute to the Salesian Congregation men that here lived their hopes and they were leaving pieces of their lives. February 15, 2006, with the crowded theater, began the academic inauguration of the 125th anniversary of the coming of the first Salesians to Spain. Many Salesians, members of the Salesian family, alumni and friends gathered in an act that was simple, aesthetically beautiful, well articulated and emotional. The Salesian Congregation lived on 16 February 2006, one of the days most important of which were held on the occasion of the closing of the 125 anniversary of the arrival to the first Salesians Utrera. The morning began with a Eucharist in the Basilica of Maria Auxiliadora, attended by students from the school, as well as the students of the Divino Salvador. The celebration was chaired by the Cardinal of Seville, Mr. Carlos friend Vallejo, who referred in his homily to the words of St. John Bosco and encouraged those present to be "good citizens". Together with the Archbishop, concelebrated the priests of the city and the provincial inspector of the Salesian community, Mr. José Miguel Núñez. The mass was serenaded by the cantos of Mr. Juan Manuel Espinosa SDB and the `choir` 125 years. Subsequently, the students of the College of the Carmen moved to various representative points of the city, the plaza del Altozano, the sanctuary of consolation, the parishes of Santa María and Santiago, the train station, the Arch of the Villa, the Town Hall, the glorieta Pío XII, or street Virgen de Consolación (first place where they lived the Salesian arriving at Utrera), among others. There, they carried out a release of 125 balloons, inside which carried messages written by the students themselves. During this activity, they sound the bells of the Church of Nuestra Señora del Carmen. Already in the afternoon, the academic closing event of the anniversary took place in the educational Center Theater. In the course of the same, the Salesian Mr. Jesus Borrego Arruz, Doctor of history and member of the Salesian historical Institute in Rome, gave a lecture entitled "It all started in Utrera…", in which referred to the expansion of the Congregation for the Iberian Peninsula. He also had words of remembrance to the Salesians that made possible the development of the work during this time. Another of the protagonists was the `125 years choir`, who premiered a new musical repertoire on the occasion of this event. The closure of it, was in charge of the director of the House of Utrera, Mr. José Carmelo Pulido Morales. The day ended with a Marian Act of Thanksgiving, which took place in the Church of the Carmine. On February 17, coinciding with the anniversary of the arrival of the Salesians in the city, there were various school activities. Students conducted a wreath to monuments to John Bosco la glorieta Pío XII and the neighborhood of the Salesians. Also, was staging a musical which, together with the teachers, represented Disney songs under the title "The wonderful world of Pinocchio". A gymkhana and other actions formed part of the activities carried out. March 2, 2006. Town Hall, the agreement was adopted for "show it determined and sincere gratitude of the Municipal Corporation of the excmo." "Town hall of Utrera for the Salesian Congregation, and in a special way, to the current Community of Utrera in the 125th anniversary of his arrival in the city". On April 21 the our Lady of consolation visit the chapel of Carmen, on the occasion of the year Jubilee in its "500 anniversary", came out of the Church of San Francisco, where it had remained all night. In the afternoon, he moved to the Esplanade of the mm. Carmelitas, where was held the Holy Eucharist, by Mr. Carmelo Pulido, SDB, and director of the Salesian College. Finished ninth, the image was moved to the chapel of Carmen, being accompanied by the brotherhood of love, A.D.M.A. and other members of the Salesian family, as well as a great number of faithful. The school grows. From the school year 2008 entered into the early childhood education. Three classrooms each year. Thus, in the year 2009-2010, will be implemented throughout this teaching, with the intention to start the works, which will allow to have a new building, modern and adapted to the times. In the academic year 2007-2008, begins the application of new management of the educational system established in law 2/2006 of 3 may, education. Specifically, in regard to primary education was implemented 1 and 2, and in so far as the compulsory secondary education (ESO) was introduced 1 and 3. In addition, the course program begins of free textbooks in courses that, that spread across the stage in subsequent courses 1 and 3. In the school year 2008-2009, presents draft educational Pastoral Salesiano 2009-2012, which wants to be the INSPIRER of the educative-pastoral action that takes place in the Salesian House and will guide all the tasks, actions and options that are going to be doing over the next few years. Currently the Salesian House of Utrera walks under the direction of Mr. Fernando Báñez with its mission of serving others; so that the people of Utrera can live the spirit of Valdocco; and evangelizing young people, to continue taking the helm of the Salesian House and everyone can paddle in a same sense. Mr. Fernando Báñez is a native of Alcalá de Guadaíra. Degree in philosophy and Professor of the Center for theological studies in Seville, he has held positions of responsibility in the Salesian inspectorial Government, being the Inspectorial delegate of all the schools Salesianas of Western Andalusia and Extremadura. He finished his studies at the University of Granada, he has served as head of studies of Bachelor Mérida. He has worked in the houses of Algeciras, Trinidad, and has been director in Alcalá de Guadaíra. He has held responsibilities of accompaniment in the formation of the young Salesians in Granada, Seville and Triana. Addressing, in particular the young poor and simple people of the people, the members of the Salesian family work, first and foremost, to create favourable conditions for a dignified people`s growth.
? The Association of Salesian cooperators.
? The Association of Maria Auxiliadora.
? The former students of Don Bosco.
? The household Don Bosco.
? The brotherhood of Stmo Christ of the love and Ntra Sra of the sidewalks.
? Latch: Pastoral youth Salesian.